LEXINGTON, Ky. (Tuesday, November 25, 2014) – The National Thoroughbred Racing Association (NTRA) announced today that the Diplomat Resort & Spa in Hollywood, Fla., will once again serve as the official host hotel for the 44th Annual Eclipse Awards presented by Daily Racing Form, Breeders’ Cup and The Stronach Group. 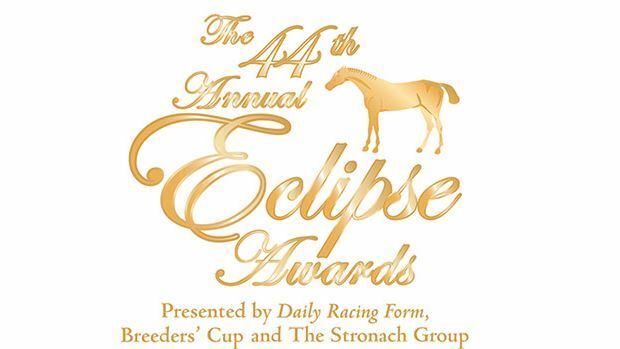 The Eclipse Awards, which honors the 2014 champions of Thoroughbred racing, will be held January 17, at Gulfstream Park Racing & Casino in Hallandale Beach, Fla. The Diplomat is the largest beachfront resort between Miami and Fort Lauderdale, Fla., and less than two miles from Gulfstream Park. Amenities include an 18-hole golf course, tennis courts, two outdoor pools (one infinity pool with waterfalls cascading into the lagoon pool) offering cabanas and bar service, a full-service spa and fitness center, and six restaurants, including the AAA Four Diamond-rated Diplomat Prime steakhouse. Eclipse Awards guests have the opportunity to book rooms at the Diplomat through the NTRA for a discounted rate of $309 per night (plus taxes and fees), $120 less than the lowest available rate from the hotel. For reservations, please contact Michele Ravencraft of the NTRA at mravencraft@ntra.com, or call (859) 422-2657. Tickets to the Eclipse Awards ceremony are on sale for $400 each or $4,000 for a table of 10, also via Ravencraft. The “black-tie optional” Eclipse Awards highlight a full weekend of events, several of which will be tied to charitable causes. A Friday night, Jan. 16, party in the Gulfstream Park paddock benefitting Gulfstream Thoroughbred Aftercare will have a “Havana Nights” theme. Saturday, Jan. 17, is Sunshine Millions at Gulfstream with five major stakes races for Florida-breds cumulatively worth more than $1 million. Sunday, Jan. 18, features a “First Chance/Last Chance” qualifier for the National Handicapping Championship. Eclipse Awards voting is conducted by the National Turf Writers and Broadcasters (NTWAB), the NTRA and Daily Racing Form. The Eclipse Awards ceremony is produced by the NTRA.